it's already been two days since i posted. i guess this weekend is just busy! but i was excited to share these photos. you might have seen them on my facebook page already, but i wanted to explain even more! 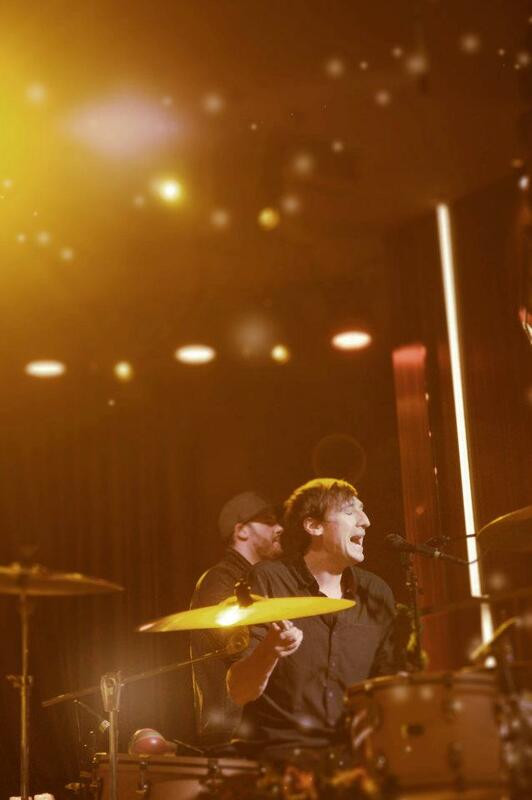 Mates of State were in Las Vegas for three days, playing at the Cosmopolitan each night. i went twice, wanted to go all three nights, but it landed on 11-11-11 and any photographers or wedding venues know that day is a bit crazy especially in this town, and my 15 hour day at work didn't allow for it. but i had been waiting to see mates of state, i hadn't seen them play since i lived in mn, and i wasn't going to miss them again! they're amazing musicians, and their new album "mountaintops" is my favorite album on the planet right now. so check it out! i have one thing to boast about. They're my cousins. so not only are they inspiring musicians, i get to look up to them as family. Brandon met Jason at our wedding but that's always a crazy day, so we got to spend a little time with the two of them. and, it was great! Finally seeing some family, who i missed so much! and a couple who i really look up to. being around them just made me admire them more. this wonderful couple who are absolutely crazy about eachother and are the most down to earth people. yup i'm proud. i took a few photos during the concert and wanted to share a few. seriously.. check them out! i got plenty more, but just wanted to share a few! so check out their music! and any photos you want to see posted? remember any that i've done in the past and need to share? !